Maldives, or commonly called the Maldives, is an island in the Indian Ocean which has 26 atolls. 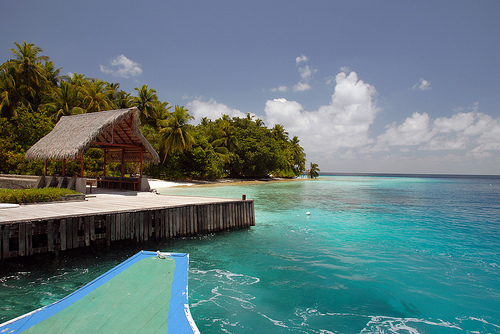 The island offers blue sea with a large coral reef, white sandy beaches, and diverse vegetation. This essentially is a paradise, where people can spend his long days just to chill out and relax. This is a great place for diving, snorkelling or just exploring the waters with thousands of different fish swimming around the reef. The beach is always open to anyone, as it provides a quiet place for visitors. 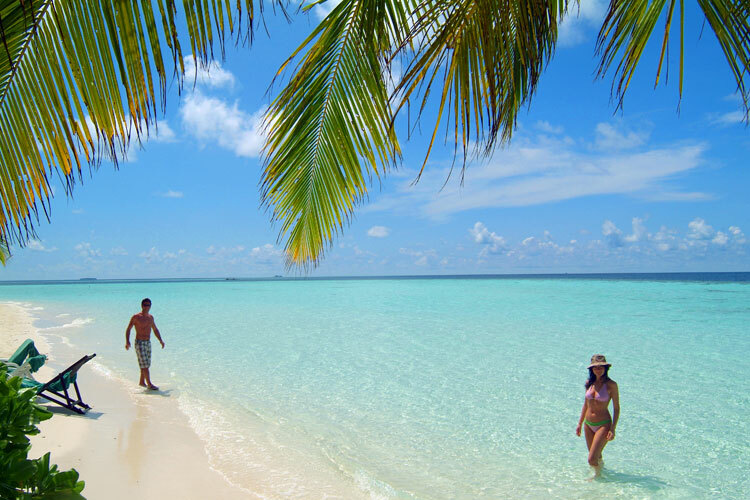 Maldives is synonymous with a life of luxury, romantic, but presents a long tranquility. There are 1,192 coral islands (atolls) that surround the Maldives. 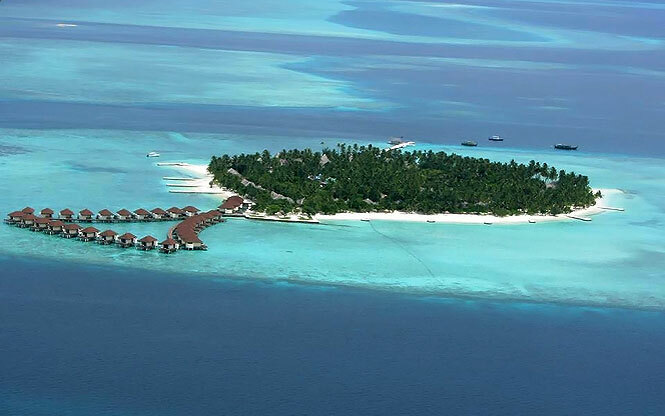 With such beauty, Maldives became one of the list of destinations and perhaps the first choice as a primary goal in the honeymoon, or just a holiday for quiet. This place is a historic residence where the Sultan Mohamed Thankurufaan stay. This historic site is located in Utheemu, which is an uninhabited island in the northern Maldives. Mohamed Thankurufaan is regarded as one of the heroes of the Maldives, and earned the highest respect of the Maldives people for the actions of heroic struggle on behalf of the safety of the nation from the Portuguese conquest. 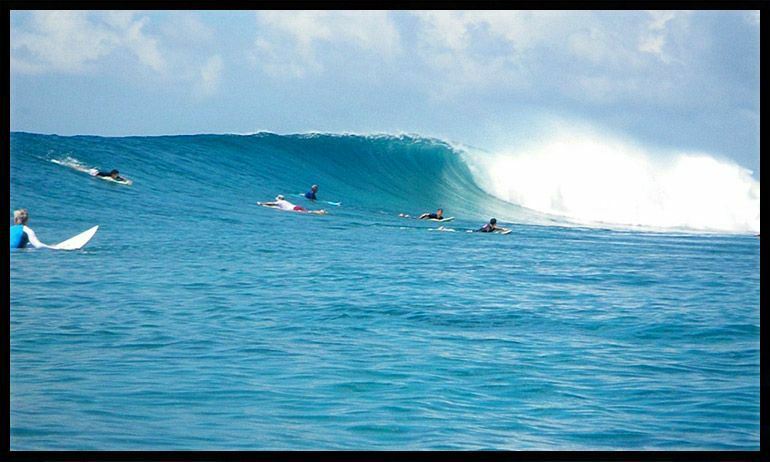 This place is a peaceful resort and is considered one of the best reefs in the Maldives. 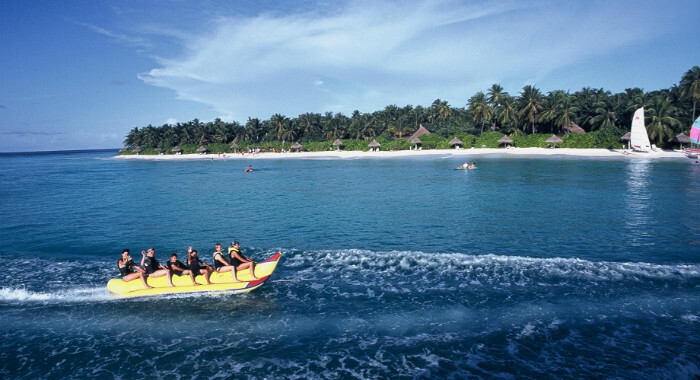 The island offers a variety of water sports from diving, snorkelling, and many others. There are more than 35 dive sites are available in the area, and you can dive in different ways depending on the weather conditions. Whether you are craving for water adventures or just looking for a relaxing place, Biyadhoo Island would be the right place for you. Although with expensive accommodations, dining, and facilities, all will be commensurate with what you would get in Biyadhoo Island. Also located in the northern part of the atoll Male, Banana Reef is the most popular diving sites in Maldives. It is called Banana Reef because the structure has a shape like a banana that extends 300 meters from north to south. The main feature is the coral marine life, where you can find Napoleon Wrasse, Moray Eels and rare Bannerfish. Countless number of fish with the variety of colors and sizes, as well as diving site that become a dream of many tourists have made Banana Reef as one of the best places to dive in the Maldives. It is located in Male, capital of Maldives. On the walls of this building you will see artefacts that reflect the diverse history of the country. 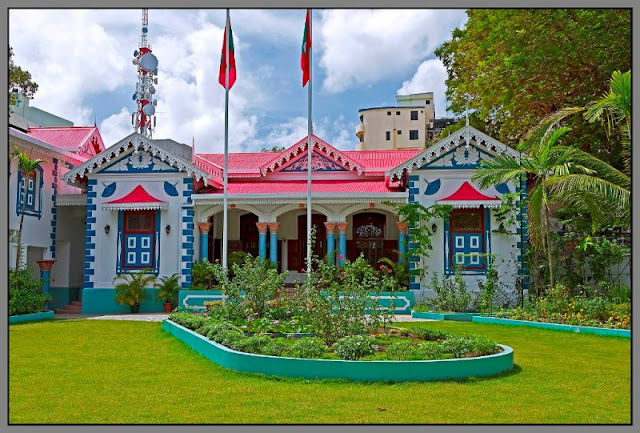 The original museum is one of the museums that remains of the Royal Palace from Maldives society. The new museum was built and designed by the Chinese government, and all the artefacts from the old museum are moved to the new museum. Finally on July 26, 2010, the National Museum was unveiled. If you want to know much about the Maldives artefacts and its rich history, this will be the right place for you to visit when you travel to Maldives. If you are looking for diving, this is one of the best diving spots where you can explore the outstanding various types of coral formations and also the fish of various colors under water. This place is a marine protected area which is located in the northern part of the atoll Male. If you are looking for a place to touch marine life, this is the right place to dive. It is located on the atoll Vaavu on the east side of Maldives. This place became the main destination for tourists, as it offers world-class diving, aquarium-like snorkeling-, as well as the main beach complete with various facilities. The island itself has a rich green vegetation and is also surrounded by beaches and many incredible historical sites. With a variety of things that you can explore, you will feel extremely fun spending your holiday. Mulee Aage is a small palace. The palace was built by Sultan Shamsudden III in 1906. The building is easily recognized because it has a lot of different colors from the other buildings in the city of Male. The unique characteristic of Mulee Aage Palace is that it has a red roof. The wall was dominated by blue and white, and blue fan-shaped carving that frames the front window. 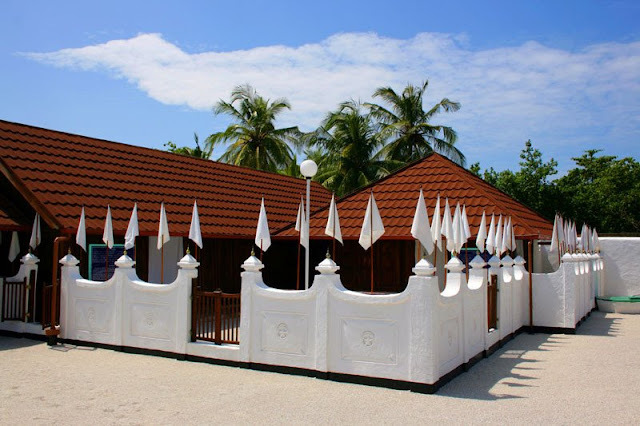 Esjhesi Gallery is one of the oldest buildings in the Maldives that was built in 1870. The location of this gallery is at the east side of the National Museum. 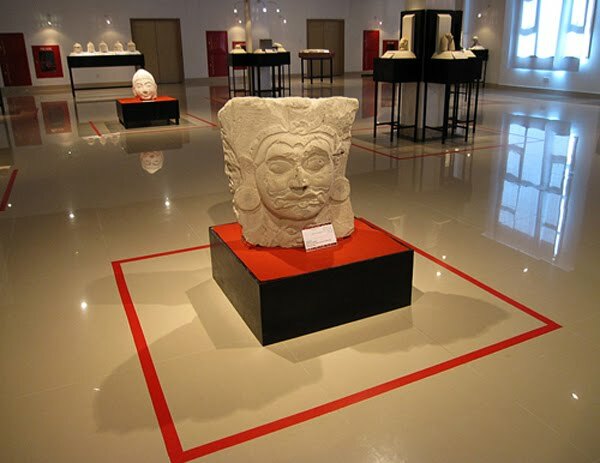 To go to Esjhesi Gallery you can access them by using public transportation. You can see a collection of traditional and modern paintings, and antique carved wooden panels were preserved. This art storing place is open from Thursday - Saturday at 8:00 to 19:30 and on Friday at 7:00 to 14:00. 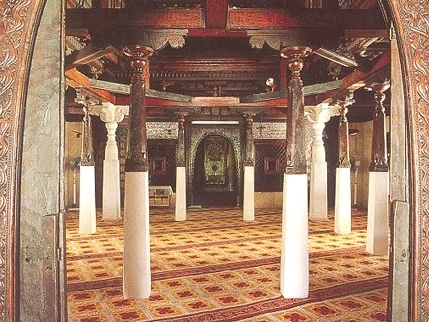 Hukuru Miskiiy is the oldest mosque in the Maldives was built in 1656 during the reign of Sultan Ibrahim Iskandar I. The place of worship is able to accommodate about 5,000 worshipers. The location of this mosque is not far from the residence of the President. The interesting thing from this place is the draw of the walls are built from coral engraved with Arabic calligraphy. There are also a number of ancient tombstones around the mosque complex created in memory of the sultan, heroes and royalty. Hukuru Miskiiy Mosque is the place you may visit when travel to Maldives. 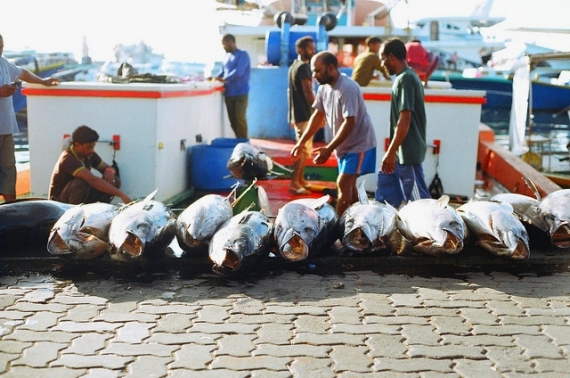 Male Fish Market is the place you must visit. The place is quite interesting, especially for those who want to taste the seafood of the Maldives or just want to see different kinds of fish. Various types of seafood are sold here not only coming from Maldives alone but also from neighbouring countries.